This guest post was written by Tyler Bramlett, AKA The Garage Warrior, creator of 0-6 Pack Abs. Everyone and their mom has heard of the plank, right? Heck, you even see people in the gym trying to hold a conventional plank for 5+ minutes, right? But my question to you is: Do you really want to be in a plank position for five minutes? Now, don’t get me wrong. The plank is a great exercise for stabilizing your spine, and creating better posture and core strength… IF it’s done correctly. The problem is, most people simply don’t perform the plank correctly. Even worse, if for some lucky reason they find a coach who can teach a real plank (where your whole core is activated), they don’t teach a progression that will take them from basic planks to complex ones, reshaping their abs in the process. Luckily for you, this article will teach you three plank tricks to ensure you’re doing them with perfect form, and give you a specific 9-step plank progression that you can use to help clients build a strong core! First up, let’s talk about the four muscle groups you need to fire in order to make the plank more effective. In order for you to develop massive strength that can apply to other activities, test yourself by doing a plank right now and make sure you are squeezing these four muscles. 1. YOUR QUADS – Your quads must be active in order to prevent your hip flexors from taking over. Practice holding a plank while squeezing your quads and, if need be, have a person test you by gently tapping or kicking your thighs. 2. YOUR GLUTES – Your glutes help set your pelvis, and prevent both spinal damage and pain while performing the plank. Unfortunately, nine out of ten plankers are NOT tightening their glutes. Practice holding a plank while squeezing your quads first, then your glutes, and, if need be, have a person test you by gently tapping or kicking your glutes and thighs. If you are unable to fire your glutes, practice in a standing position and revisit the plank once you’ve mastered firing your glutes while standing. 3. YOUR LATS – This is where people go wrong big time with the plank. 99 out of 100 plankers neglect to fire their lats because it makes the exercise WAY harder. The great news about this, though, is that you get better results in much less time. 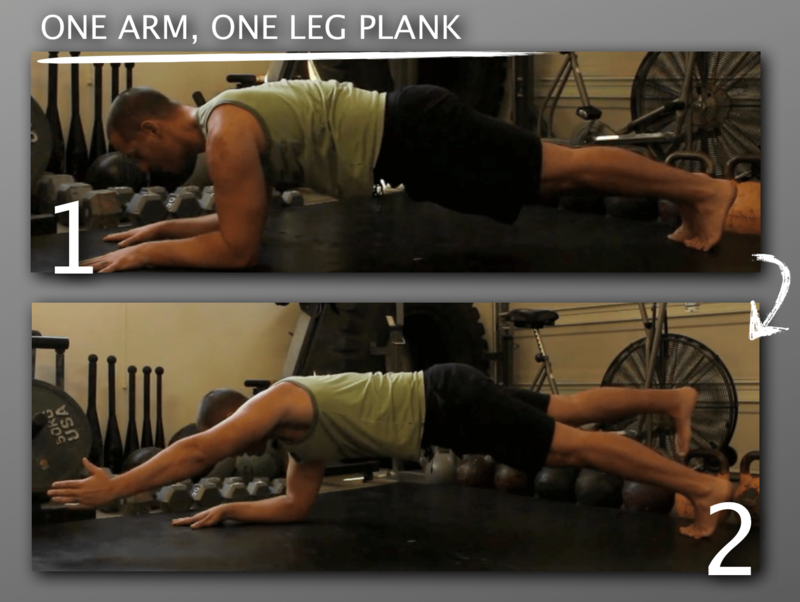 To fire your lats in the plank, imagine you are trying to drag your elbows towards your feet. Don’t actually move them, but apply just enough pressure that you feel tension building in your armpit muscles. Practice holding a plank while squeezing your quads, then glutes, and then lats and, if need be, have a person test you by gently tapping or kicking your lats, glutes and thighs. 4. YOUR PECS – Finally, to prevent you from over-activating your shoulders (which is what 99.9% of people do when performing a plank) you should instead activate your pecs. Yes, those handsome chest muscles are good for more then just push-ups and looking good at the beach! 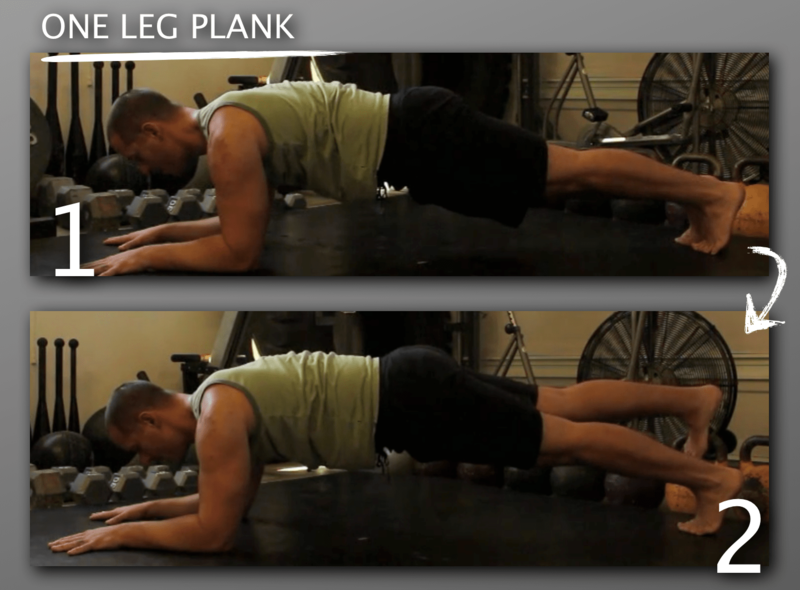 To fire your pecs during the plank, imagine that you are trying to squeeze your elbows towards each other. Don’t actually move them, but apply just enough pressure that you feel tension building in your chest muscles. Practice holding a plank while squeezing your quads, then glutes, then lats and pecs and, if need be, have a person test you by gently tapping or kicking your lats, glutes, thighs and pecs. Ok, so now that you know the critical four muscles you should be squeezing in the plank, here’s a series of nine plank variations you can use to transform a flabby gut into six-pack abs! Just start at exercise #1, and if you can hold it for one set for a total of 60 seconds while squeezing all four muscle groups that are outlined above, then move on to the next exercise. 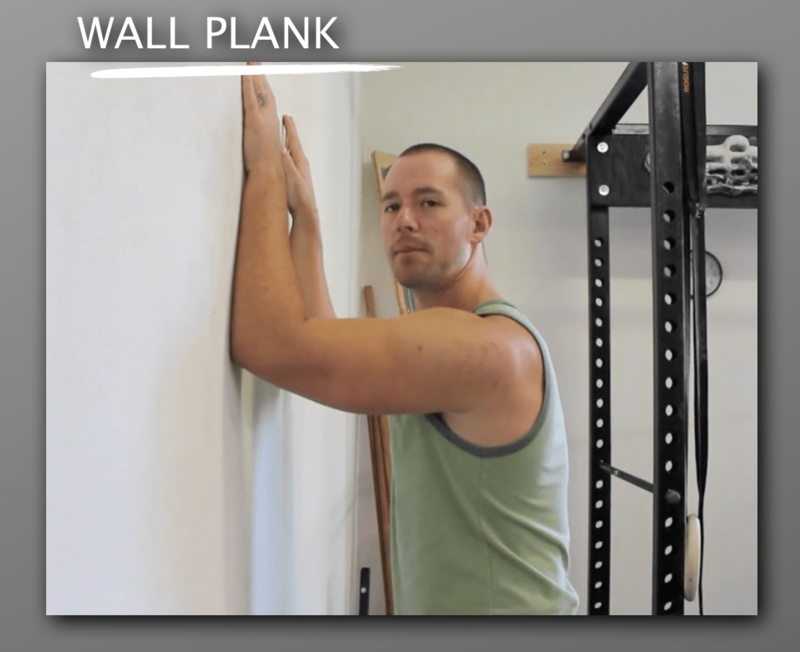 Place your elbows on a wall about shoulder-width apart. Press your elbows and palms firmly against the wall. Drive your elbows into your sides, and squeeze your lats and glutes. Feel your abs fire when you drive your elbows down and towards to yours sides. Hold this position for one set at the end of your workout (while making sure to fire all four muscles outlined above), and once you can hold it perfectly for a whole minute, move on to the next exercise. Place your elbows on the ground about shoulder-width apart. Press your elbows and palms firmly into the ground. Your shoulders should be positioned directly above your elbows. Place your knees on the ground to keep your body off the ground. Keep your core tight, squeeze your glutes and pull your elbows towards your sides. Hold this position for one set at the end of your workout (while making sure to fire all four muscles outlined above) and once you can hold it perfectly for a whole minute, move on to the next exercise. Start in the kneeling plank position. Place your elbows on the ground about shoulder-width apart. Press your elbows and palms firmly into the ground. Extend one leg straight out behind you and drive that leg into the ground. Keep your core tight, squeeze your glutes and drive your elbows down and back. Hold this position for one set at the end of your workout (while making sure to fire all four muscles outlined above) and once you can hold it perfectly for a whole minute (30 seconds each side with no rest in between), move onto the next exercise. As in the kneeling plank, place your elbows on the ground about shoulder-width apart. Instead of using your knees for support, however, raise your knees off the ground. Squeeze your glutes, press those straight legs into the ground, and drive the elbows down and back. Keep tight and hold for as long as possible. As in the plank, place your elbows on the ground about shoulder-width apart. Press your elbows and palms firmly into the ground. Keeping tight, lift one leg off the ground. Make sure not to rotate your hips when lifting the leg. Repeat with the opposite leg. Hold this position for one set at the end of your workout (while making sure to fire all four muscles outlined above), and once you can hold it perfectly for a whole minute (30 seconds each side with no rest in between), move on to the next exercise. As in the One-Leg Plank, place elbows on the ground about shoulder-width apart. Press elbows and palms firmly into the ground. Find your balance, squeeze your glutes and lats, and lift one leg and the opposite arm off the ground. Repeat with the other leg and arm. Place your hands in a push-up position and walk them out to the front as far as you can. Press your palms and fingers firmly into the ground. Imagine pulling down on the ground in order to activate your lats. Squeeze your glutes. Keeping tight, hold your body off the ground and try to maintain this position for as long as possible. 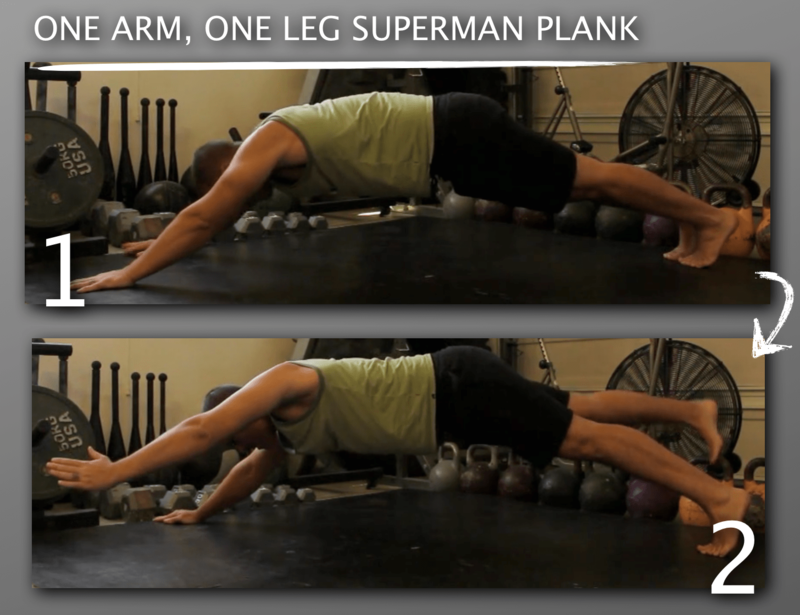 As in the Superman Plank, place your hands in a push-up position and walk them out to the front as far as you can. Press your palms and fingers firmly into the ground. Keeping tight, lift one leg off the ground. Repeat with the opposite leg. All you have to do is follow this EXACT plank progression, while making sure to fire those four muscles, and your clients will be well on the way to a stronger core! Be sure to check out the new ab training system designed by Tyler and renowned physical therapist Dr. James Vegher. As soon as you master the Core Activation Sequences that Dr. James Vegher is gonna teach you. 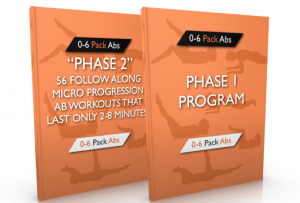 It features a new workout method that called “Micro Progression Technology” that picks up where James’s Core Activation Sequences left off and takes you through a series of 56 progressively harder ab workouts strategically designed to take you from 0-6 Pack Abs! And YES… I did just say 56 video follow along workouts that will only take you between 2-8 minutes to complete. It’s the perfect complement to the first phase of the system and it’s yours FREE!